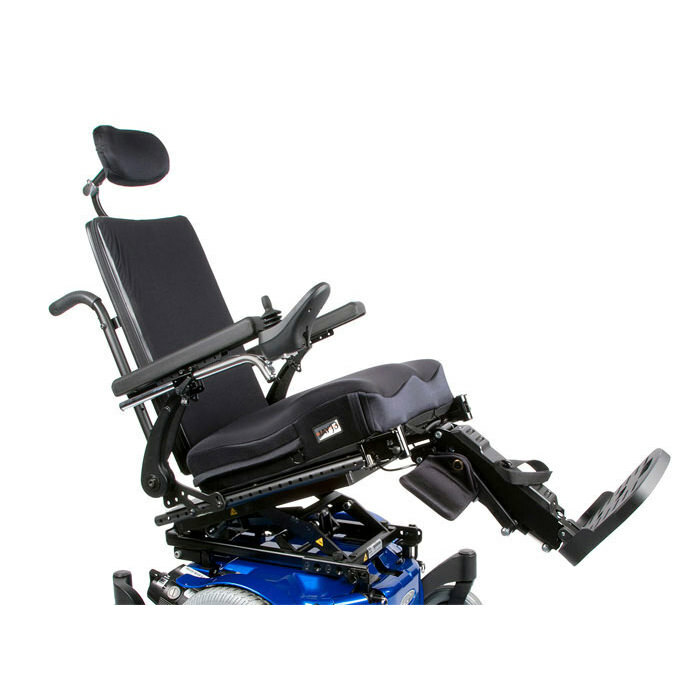 Power function available: tilt seat, elevating legrest, and elevating seat. 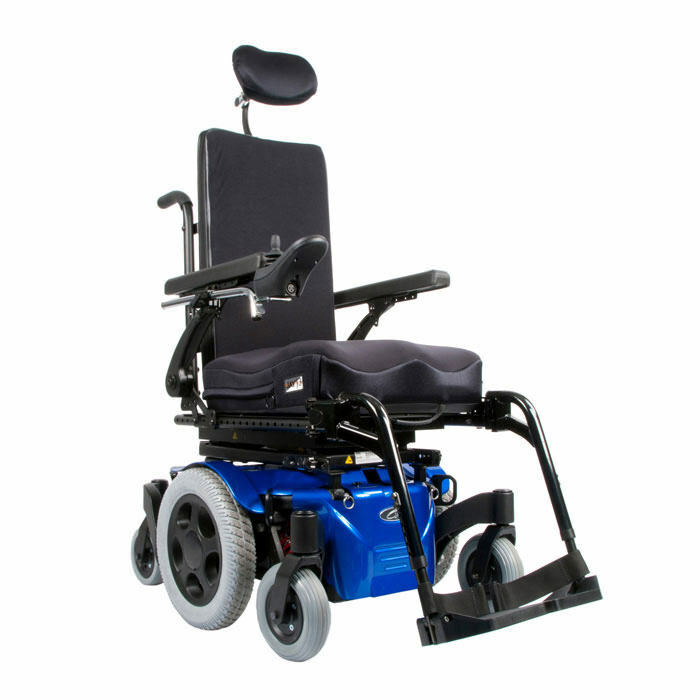 Quickie pulse 5 mid wheel drive power wheelchair is reliable and compact for indoor accessibility which allows users to maneuver around indoor spaces with confidence and ease. 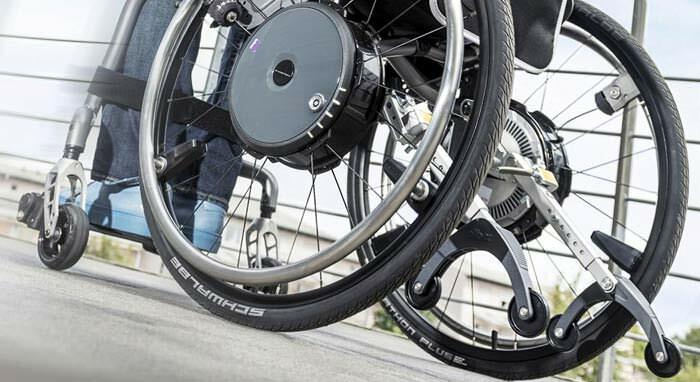 Pulse 5 wheelchair comes with R-net expandable and VR-2 non-expandable controls. 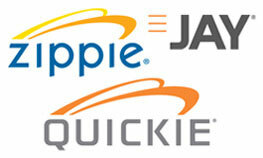 Pulse 5 power wheelchair is available in two seating options: captain’s seat (CC) and ASAP II rehab seat (BC). Pulse 5 power wheelchair with its reliable motors, simple electronics and seating options fulfill multiple needs of user. 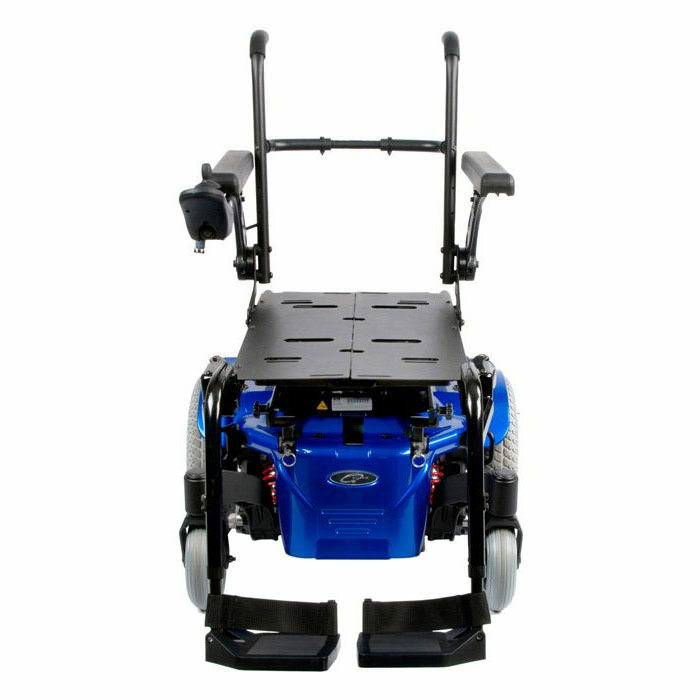 Pulse 5 wheelchair has small footprints at less than 34" in length and 24" in width. 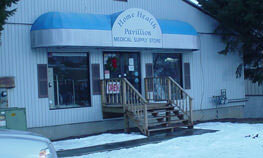 Pulse 5 has mid-wheel drive base which allows it to turn on a dime. The combination of a small footprint and mid-wheel drive performance allow you to maneuver around your indoor spaces with confidence and ease. Pulse 5 power wheelchair let’s you make the most out of your environment with seat heights as low as 16" without tilt and 17" with tilt. Pulse 5 power wheelchair features optional power tilt and elevating and articulating legrests to position you for your best level of function. The 9" seat elevate option helps you meet your goals for independence by allowing you to interact at eye-level and access what you need at home, at work, and everywhere in between. 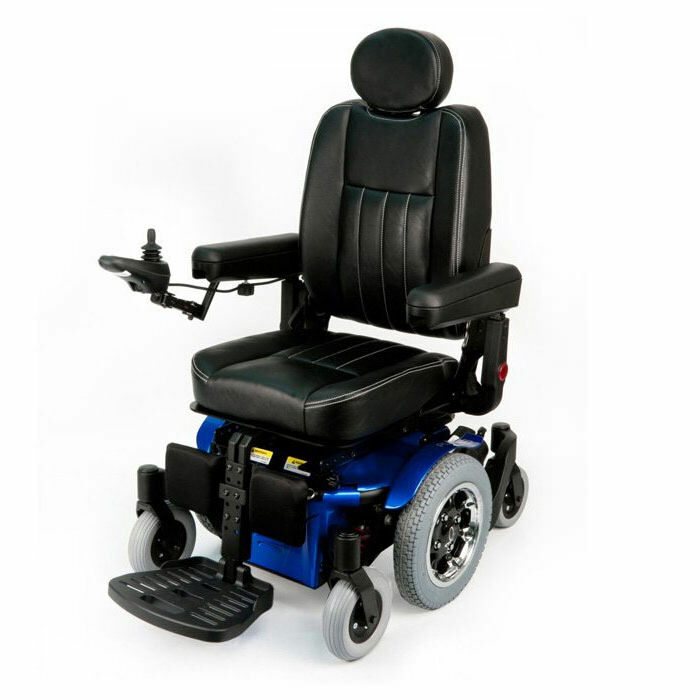 Pulse 5 wheelchair comes with captain's seat which is a great option for a relaxed sitting position. Pulse's ASAP II rehab seat (Adjustable seating and positioning) keeps up with you as you change. With expansive adjustments and more backrests, armrests, legrests, and accessories, the ASAP II is a versatile power seating option. Speed 5 mph. 5 mph. Seat widths 16", 18", 20" 12" - 22"
Seat depths 15" - 22" 12" - 22"
Front seat To floor height 16.25" - 18.25" (from Pan) 16" - 20"